Do not let the year slip by without taking advantage of special tax benefits on new and used equipment purchases. Both Section 179 and Bonus Depreciation have been approved for a limited time through December 31, 2016. In order to qualify for these tax breaks, you must purchase or finance your equipment by December 31, 2016. Rig Source has a complete inventory of drill rigs and crawler carriers ready to start working on your next jobsite project. We offer sales on both new and used equipment in order to meet the needs and budget of every customer. Within our own shop, we specialize in servicing the industry leading, brand name equipment you’ve come to rely on, and even work direct with manufactures on customizations. Our dedicated sales team is knowledgeable in every type of drilling and can work with you to build a rig to suit. 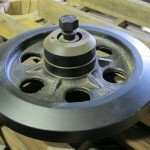 This deduction is good on new and used drill rigs or crawler carriers, parts and other business assets. This is the maximum amount that can be spent on equipment before the Section 179 Deduction available to your company begins to be reduced on a dollar for dollar basis. 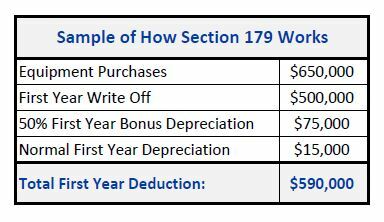 Bonus Depreciation is only available on new equipment, and is generally taken after the Section 179 Spending Cap is reached. For more information on equipment eligible for Section 179 or Bonus Depreciation tax credits, give Rig Source a call at 630.365.1649. *For more information regarding the details of Section 179 and Bonus Depreciation, please contact your local government agency and tax advisers. 2016 marks a big year of change for laws that have potential to affect many of our drill rig and crawler carrier customers. New laws have gone into effect, and some previous laws are set to be enforced by the end of the year. As your trusted equipment supplier we analyzed these changes to determine how they could affect you. We want our customers to be fully informed so they can continue to make the best decisions and equipment purchases for their growing business. First and foremost, are you aware of the latest changes to Section 179 tax deductions for equipment purchases? While Section 179 has been available in the past, the rules have changed. This year both the House and Senate passed “Protecting Americans from Tax Hikes Act of 2015” which permanently increased Section 179 tax deduction limits to $500,000, and extended 50% bonus depreciation through 2019. Prior to this law taking place, Section 179 was temporarily approved on an annual basis. The temporary re-approvals were nice, but they didn’t provide equipment buyers adequate time to complete equipment purchase transactions in time to qualify for the deduction. Therefore, the permanency of Section 179 is ideal for our drill rig and crawler carrier customers seeking to purchase equipment now and in the years to come. The new law gives buyers the time they need to plan and forecast equipment needs, shop for the right equipment, and feel confident the Section 179 tax deduction is going to be there for them. Forty years later, the US ban on oil exports has been lifted! This is exciting for our customers within the oil and gas and pipeline industries. It is expected that this lifted ban will expedite a higher demand for the US to grow our oil transport infrastructure, and in return open up thousands of new job opportunities for industry members. Keep in mind environmental protection is still of utmost importance while we grow the US infrastructure so it is imperative for contractors to remain conscious of environmentally friendly practices while on jobsites. Taking action by utilizing heavy equipment like crawler carriers which are known for leaving behind some of the smallest environmental footprint is one way you can help protect the ecosystem. The Environmental Protection Agency (EPA) introduced Tier 4 engine emission standards back in 2004, and has allowed a phase-in period for manufacturer compliance which is largely coming to an end in 2016. The purpose of the Tier 4 engine standards by the EPA is to reduce engine emissions in an effort to comply with stricter Clean Air Act guidelines. What you need to know as an equipment consumer is equipment already utilizing Tier 4 engines also comes with a heftier price tag. Additionally, Tier 4 engines may use different fuel which increases the amount of maintenance required to uphold the equipment. To date, many equipment manufacturers have already conformed to the new Tier 4 engine standards leaving it very difficult to come across Tier 3 equipment still in production. However, there are some manufacturers like Terramac® who are still offer offering Tier 3 models through the remainder of 2016. Therefore, if you are looking to add to your equipment fleet, 2016 may be good year to do so in order to take advantage of Tier 3 options that will soon be no longer be available. 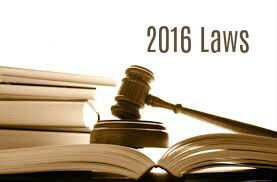 *This is a brief overview of the laws that have potential to affect our customers this year. For more information regarding the details of these laws, please contact your local government agency and tax advisers. Welcome back to part three of our series covering the use of crawler carriers across various regions of the US. 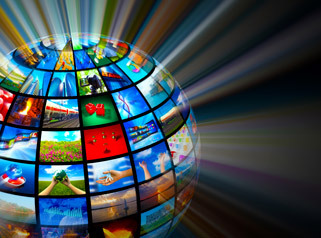 Click on the links provided to catch up on the Western Regions or Mid Regions of the US. Otherwise, read on and enjoy learning about crawler carrier usage along the Eastern regions of the US. New England Region – Encompassing the states of Connecticut, Maine, Maryland, Massachusetts, New Hampshire, Rhode Island & Vermont. New England is one of the most historic regions of United States, and with that comes an older infrastructure requiring a great deal of maintenance and repair. Crawler carriers benefit the New England region by providing the local industries with reliable equipment capable of adapting to the various seasons and infrastructure needs such as pipeline repair, environmental restoration, and utility maintenance. 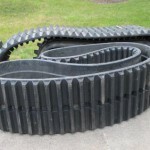 The most commonly sought after crawler carrier attachments for this region are standard dump beds, tac welders, water tanks, pipe heating units and more. Mid-Atlantic Region – Encompassing the states of Ohio, Pennsylvania, West Virginia, New Jersey & New York. The Mid-Atlantic Region is truly the heart of pipeline work for the Unites States because it contains the Marcellus and Bakken Shales. The Marcellus Shale is the largest source of natural gas in the United States so it is no wonder that crawler carrier usage is at its highest rate for the country in this region. Crawler carriers are used in every step of the pipeline process; beginning with utility locating and finishing up with land restoration. 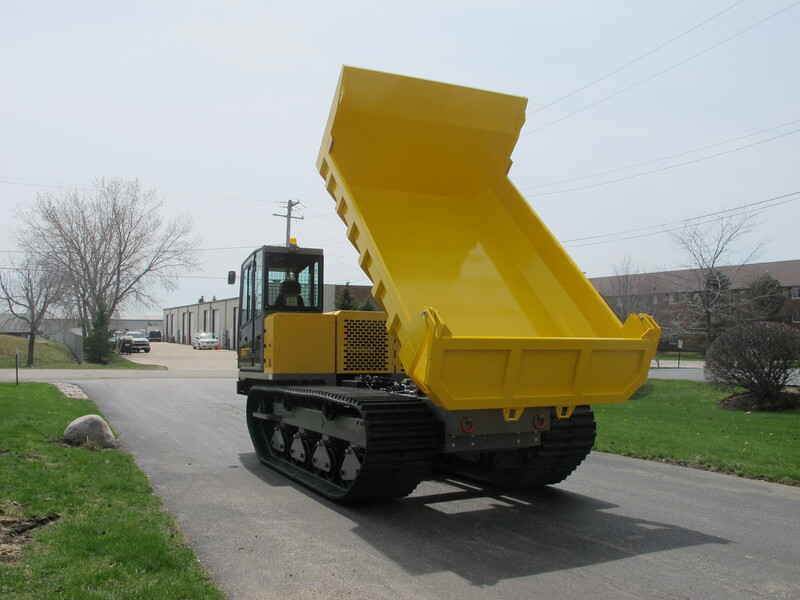 Top attachments used for crawler carriers across the entire Mid-Atlantic Region include, vacuum excavators, water tanks, cranes, tac welders, personnel carriers, compressors, hydroseeders, bark blowers and straw blowers. South-Atlantic Region – Encompassing the states of Delaware, Virginia, North Carolina & South Carolina. 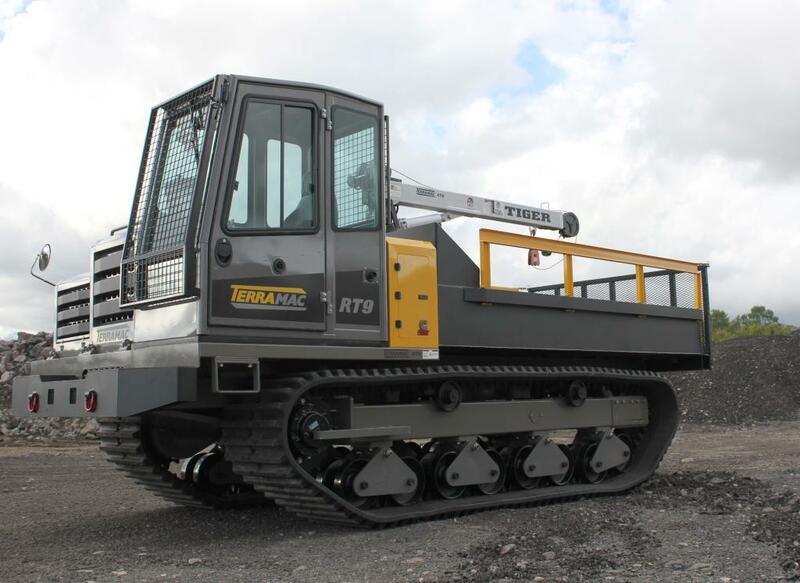 The South-Atlantic Region is a hot spot for a multitude of industries, and crawler carriers are used routinely due to their versatility across a wide variety of terrain conditions. This region includes the Appalachian Mountains and is also home of the Coastal Plaines. 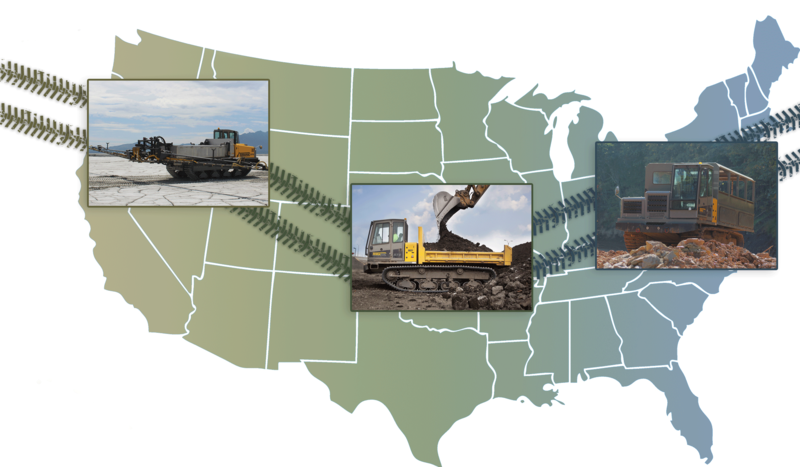 The Proximity to the Mid-Atlantic Region means pipelines are still among the top local industries to depend on crawler carriers, but the units are also being used for earth moving and excavation projects which require attachments such as hydroseeders, bark blowers, straw blowers and rock beds. As you travel into Virginia, the use of crawler carriers is also increasing for the utility market. Southeast Region – Encompassing the states of Georgia & Florida. Surrounded largely by water from both the Gulf of Mexico and the Atlantic Ocean, the Southeast Region has found crawler carrier use a key tool for shoreline restoration as well as land reclamation. This is a tourist region so using low impact equipment like carriers that have low ground pressure assist both Georgia and Florida in preserving their environments for visitors. Pipeline projects such as the Sabal Trail Transmission are also expected to increased crawler carrier usage once the project commences in 2016. The last prominent use of crawler carriers for mention in the Southeast Region has been in utilities. Digger derricks and boom lift attachments are being mounted to the rear of crawler carriers more and more which is allowing easier accessibility to utility pole installation sites. 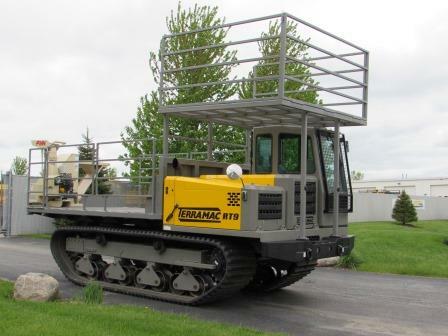 Crawler carrier usage among all regions in the United States has been on a tremendous upward growth pattern in recent years as more and more as technological advancements to crawler carriers have been introduced. Each new advancement has made work in these trade industries that much easier and safer than ever before. 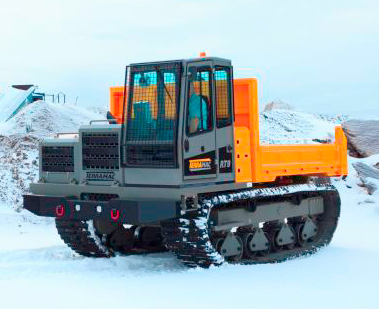 The adaptability of crawler carriers to hold various specialty attachments, and interchange them with ease also enhances productivity for employers by providing their workers with all the tools necessary, even in remote locations to continue working. There isn’t an industry out there that couldn’t benefit from crawler carriers, and as future uses come about and new attachments are developed – you can count on Rig Source to keep you informed and your fleet stocked! 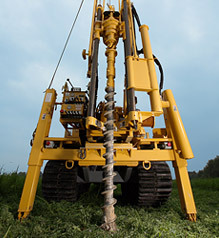 *Common Crawler Carrier Attachments Mentioned Throughout the Series: Standard Dump/Flat Bed, Dust Suppression Spray Boom, Fuel Tank, Rock Bed, Tac Welder, Personnel Carrier, Pipe Heating Unit, Compressor, Bark Blower, Hydroseeder, Water Tank, Knuckle Boom Crane, Geotechnical Drills and Straw Blowers. This is part two of a three part series that takes a look at crawler carrier usage across the different regions of the US. Click on the link to catch up on our previous post which covered crawler carriers in the Western regions of the US. The Great Plains Region – Encompassing the states of North Dakota, South Dakota, Nebraska, Minnesota, Iowa, Wisconsin, Illinois, Arkansas, Missouri, Michigan, Indiana, Kentucky & Tennessee. Within this region, the three states of North Dakota, South Dakota and Nebraska which hold the Bakken Shale have extremely high crawler carrier usage rates. These states are expanding rapidly in the oil and gas market, and crawler carriers have been the all-in-one piece of heavy equipment capable of adapting to the multitude of jobs required for pipeline work. 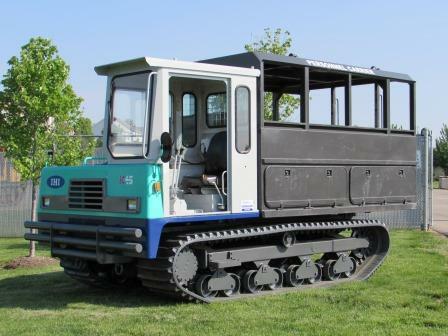 The remaining Midwestern states have also found various uses for crawler carrier’s rubber tracked technology, but among a broader group of industries, and are used more so for niche jobs when inclement weather hinders work sites. Industries have included mine reclamation, utility, general construction and excavation as well as pipeline work. 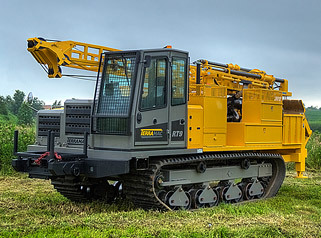 Due to the variety of industry demands, this region uses one of the widest arrays of specialized crawler carrier attachments such as tac welders, personnel carriers, water tanks, cranes, spray booms, hydroseeders and standard dump beds. Southern Plains – Encompassing the states of Oklahoma & Kansas. This region is best known as “Tornado Alley,” and has seasonal climates which make predicting and planning for outdoor work a struggle. Pipeline work is in full force in the Southern Plaines and therefore much like the Western regions becomes the most prevalent industry for crawler carrier use. Rubber track technology allows carriers to continue working even when the terrain is not in its best condition. Pipeline attachment features used in this area include welders, personnel carriers, and even standard dumps. While pipeline is the primary usage, states such as Kansas have found crawler carriers useful for the utility market for the installation of utility poles. Gulf Coast Region – Encompassing the states of Alabama, Mississippi, Louisiana & Texas. 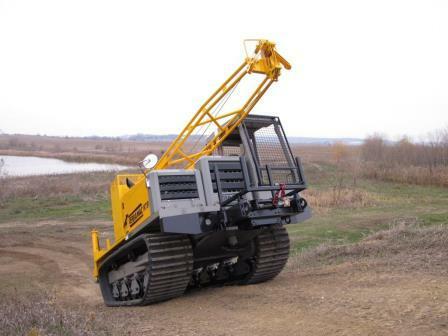 Swampy, humid and wet conditions frequently noticed in the Gulf Coast region require the use of crawler carriers on a regular basis. This is a primary region for the Unites States oil and gas extraction so pipeline distribution is a major focus. Among the states included in the Gulf there is a high volume of crawler carriers being used for pipeline installation and maintenance as well as services assisting pipeline work such as potholing with track mounted vacuum excavators. 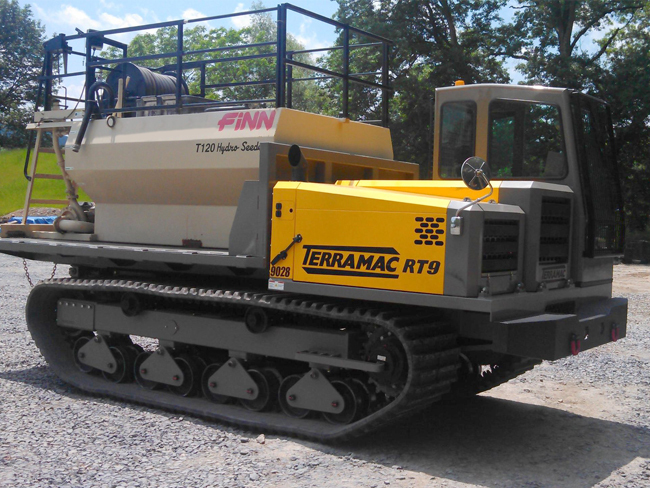 For more information on crawler carriers in the Mid Regions of the US, give Rig Source a call today at 630.365.1649. Otherwise, stay tuned and follow the Rig Source news feed for part three, crawler carriers in the Eastern Region. Crawler carriers are making an impact among numerous industries across the United States, and their efficacy is being unraveled daily. Their impacts along with increased market exposure highlighting the benefits and value associated with crawler carriers are triggering increased popularity and demand at a fast pace. 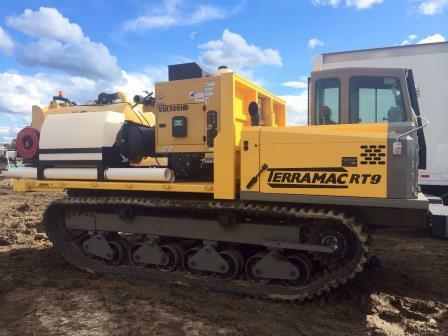 To top off the craze, new technological advancements in crawler carriers, and the introduction of a North American made unit – The Terramac® RT9, only increase the hype. 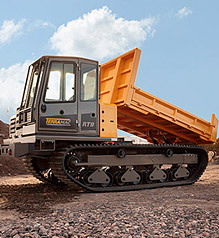 As a dealer for top brand name Terramac® crawler carriers, and a well reputed used sales, rental and service provider of all brand name crawler carriers such as Morooka, IHI and Komatsu, we’ve analyzed our own crawler carrier sales and rental usage to give you a breakdown on exactly which industries are gaining the most from crawler carriers and sorted the data by region to demonstrate how various regions of the US differ with their crawler carrier use. Follow us in a three part journey as we travel the US on Tracks! Northwest Region – Encompassing the states of Alaska, Washington, Oregon, Idaho, Montana, Wyoming, Utah & Colorado. The Northwest region is often divided in two sub regions due to the Cascade Mountain Range. 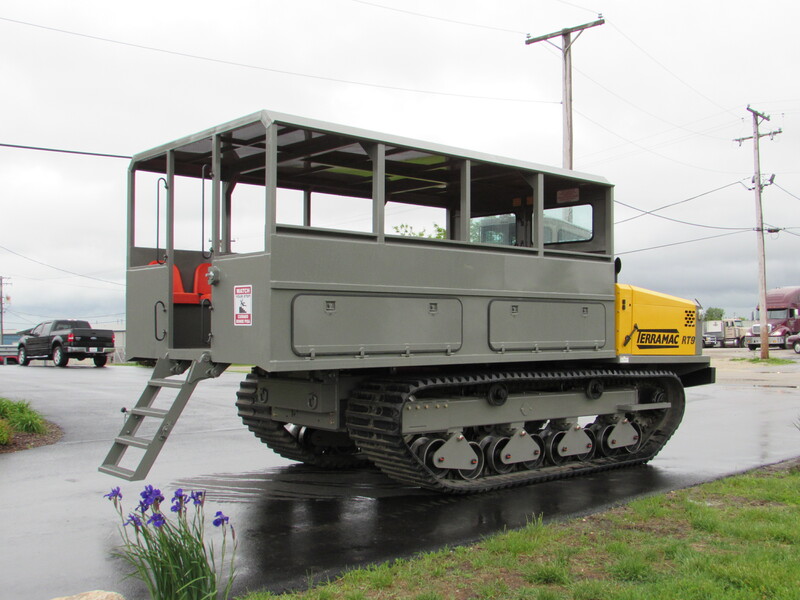 Within this division, it is noted that the far west states of Washington and Oregon find crawler carrier use a popular choice for dealing with the mountainous and often times wet terrain. This area is a hotspot for growing oil and gas pipelines since it is in close proximity to Canadian Shales as well as the Bakken. On the East side of the Cascades, pipeline work also plays a hefty role in crawler carrier usage, but crawler carriers are also being used frequently for mine reclamation and tailings pond maintenance. 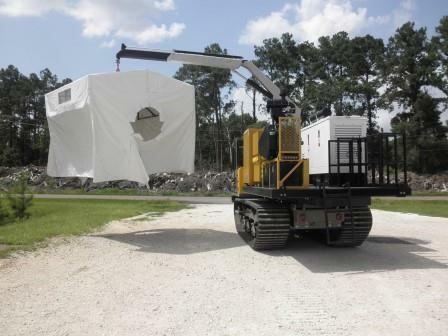 Common crawler carrier attachments found in the Northwest region include convertible dump/flat beds, personnel carriers, tac welders and dust suppression spray booms. 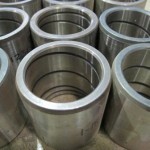 Other industry uses in this region have included damn restoration and geotechnical drilling. Southwest Region – Encompassing the states of California, Nevada, Arizona & New Mexico. States in this region are recognized for high copper production, and have both active and residual mines to show for it. Similar to the Northwest region, Mine Reclamation is in its prime as new environmental laws go into effect to protect the environment, and with that comes the increase demand for crawler carriers. 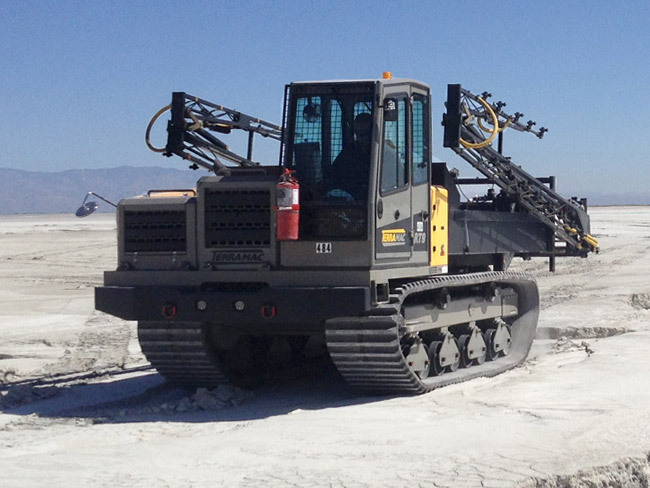 Among the Southwest region, crawler carriers utilized for dust suppression on tailings ponds have taken the lead for usage in the region. 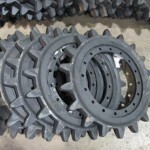 California has also seen an increase of crawler carrier usage for exploration drilling, and due to the sandy conditions of the desert in this region they have become attractive to those in the utility market for their unstoppable rubber tracked technology. Common attachments found in the utility market include digger derricks, aerial devices and fifth wheel hitches in addition to the standard flat and dump beds. The only state not attached to continental North America, Hawaii has less frequent crawler carrier use than the other states, but is a likely candidate for land excavation and reclamation, utilities and shoreline restoration. Hawaii is home to some of the world’s best beaches, varying altitudes and lavish rainforests. The use of rubber tracked equipment is ideal for sensitive terrain such as this to minimize environmental damage. That wraps up crawler carrier usage in the Western regions of the US so stay tuned and follow Rig Source’s news feed for the remaining Mid region and Eastern region updates. What do you get when you mix the versatility of a rubber tracked crawler carrier and the functionality of a knuckle boom crane? That’s right, our title says it all – EXTREME Flexibility! 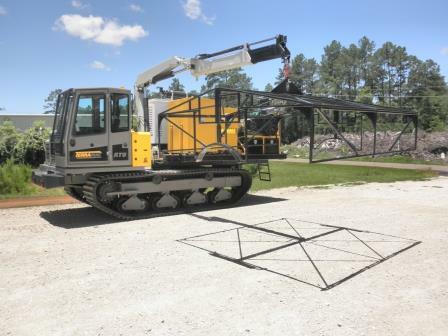 Scroll through our album and view every angle of this customized crawler carrier with knuckle boom crane attachment, and learn how its use can benefit a variety of industries. The ability to use knuckle boom cranes ultimately simplifies an operator’s loading process by giving them more functionality. The knuckle boom crane has multiple joints which increases its range of motion and reach for objects. It also takes up very little space on the carrier itself since it mounts tight against the operator’s cab. This set up provides users the ability to use crane functions while maintaining full functionality of the crawler carrier as well. 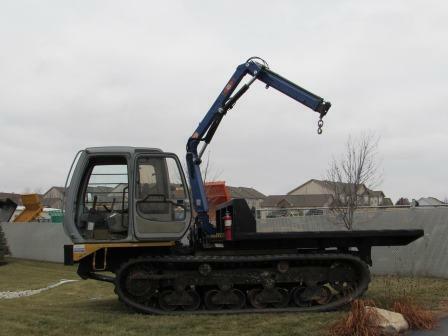 This combination carrier unit with knuckle boom crane has been found to be rather useful for pipeline and utility companies alike that use it for moving large items along the job site and clearing paths for equipment and crew. It has even been used for drilling support as drillers transport equipment to and from remote locations. Customers who have experienced using various pieces of equipment in the past readily flaunt how handy the crawler carrier with knuckle boom crane was to have on their job sites. These same customers have the tendency to return to us time and time again – Quality equipment leaves a lasting impression! 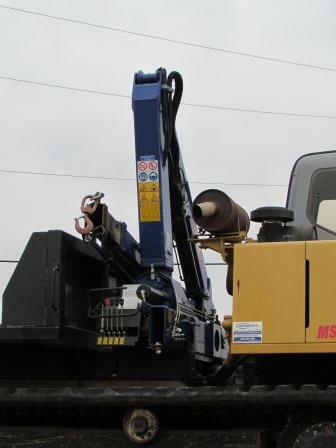 At Rig Source, these custom knuckle boom crane units are available for both sale and rent. Whether you have a short term or long term need, we’ve got you covered. We offer various rental rates and affordable pricing on all our custom crawler carrier units, and diligently work with you to ensure your every need is being met. No two jobs will ever be the same so give Rig Source a call today at 630.365.1649 to gather the latest carrier with knuckle boom crane attachment information. While you’re at it, test our flexibility and share your challenges with us. We’d love the challenge, and you’ll only benefit from our solutions! Inventory is complete, and Rig Source has a surplus of carrier parts so let the savings begin. 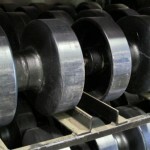 As of February 1st, Rig Source announced a large crawler carrier parts sale that would run throughout the entire month. During this limited time offer universal crawler carrier replacement tracks for brand names such as Terramac®, Morooka and IHI units are 10% OFF, and there are numerous BUY 3 GET 1 FREE offers on rollers, bushings, sprockets, pivot shafts and much more. If you were considering some general maintenance on your crawler carrier units this year, a sale like this is definitely worth taking advantage of. What started as basic roof repairs to the East Monroe Street Marketing Garage in 2012 grew into an opportunity to renovate three areas of Grant Park to create the Maggie Daley Park, an area that will be composed of the Daley Bicentennial Plaza, the Cancer Survivors Garden, and Peanut Park. With this new initiative, the Chicago Park District has been working to make these three areas of the park more cohesive while also improving Grant Park’s sustainability- not to mention many new uniquely entertaining features, such as rock-climbing sculptures, an ice-skating ribbon, a play garden, a field house, and plenty of open lawn space for events and picnics. All these upgrades don’t happen overnight, of course. Maggie Daley Park is scheduled to open to the public in fall of 2014 after two years of intense construction. The first phase of the project alone included moving 209,000 cubic yards of soil and 800 trees to Peanut Park temporarily so that the East Monroe Street Garage parking deck could be renovated and waterproofed- a giant project in itself, considering that the parking garage is nearly 1.5 million square feet. 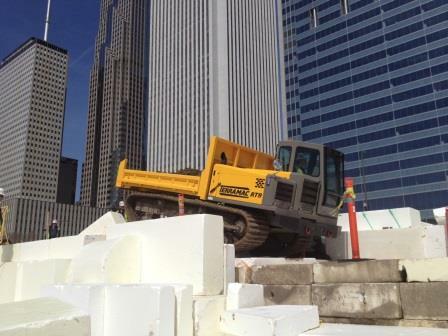 In phase two, which started in late fall of 2013, a local Chicago construction company began working on creating drainage layers by using polystyrene geofoam to create hills and landscapes. Since geofoam is around 100 times lighter than soil, it doesn’t add excessive weight to the parking structure underneath. After that, the topsoil and trees are moved back from Peanut Park and added over the geofoam using multi-purpose crawler carriers, which can easily traverse the geofoam without leaving permanent impressions. An extra 700 trees will be planted in Maggie Daley Park as well. While construction slowed down during winter, the park is still on track for a fall opening that will include the ice skating ribbon and the climbing wall. The final total cost for the Maggie Daley Park renovations will be $60 million, which includes things like landscape architecture, construction and machine rentals, and more. In the end, Chicago’s newest public park will be a cohesive presence in a prime area between the lakefront and down town in which Chicagoans and tourists alike can enjoy a wide variety of unique activities and experiences. Who’s ready to go play? Meeting the demand for personnel carriers has had its challenges, but we did it for YOU! In the last few weeks, our shop team here at Rig Source has been busy preparing additional rubber tracked rental personnel carriers to meet the ever growing demand among the pipeline and environmental and geotechnical drilling industries. 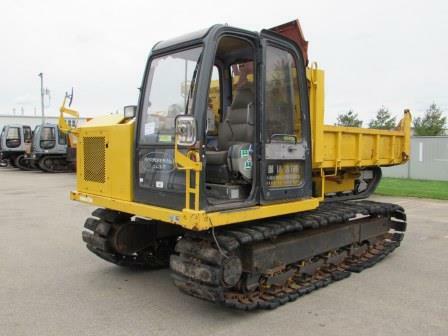 Now that the work is complete, they are available, and you can reserve your rental personnel carrier any time by calling us at 630.365.1649. 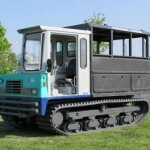 Simple, tracked rental personnel carriers are rare and have been found to be THAT helpful! 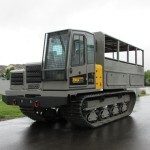 It’s the most efficient method for transporting crews that has proven benefits such as the ability to transport everyone in one trip, increased cab safety, available storage space for tooling, and is even considered environmentally friendly thanks to the low ground pressure of rubber tracked crawler carriers. 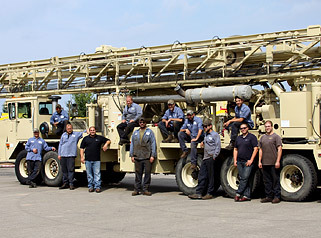 Getting your rental personnel carrier from Rig Source has benefits within itself as well. We have a solid reputation for providing our customers with the nothing short of the best in customer service. 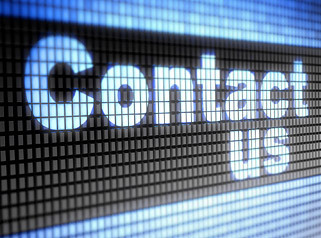 We offer competitive weekly or monthly rental rates that will fit into your schedule, and shop teams to ensure the units arrive and remain in full working order throughout your rental term. 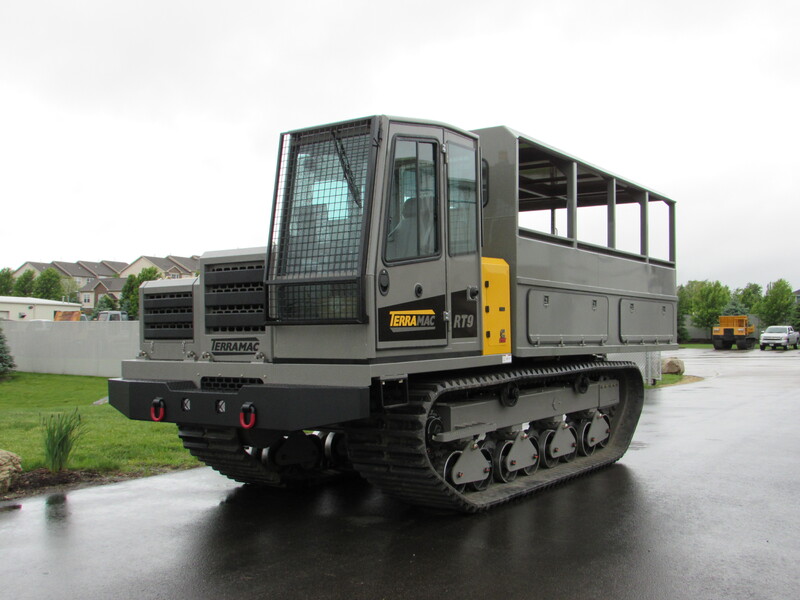 For more detailed information regarding each of these new rental personnel carriers, visit our crawler carrier rental showroom where you may view the complete web listing. Not only will you find our new rental personnel carriers, but you will also gain access to a variety of other rental crawler carriers that you may find just as useful on your next project. 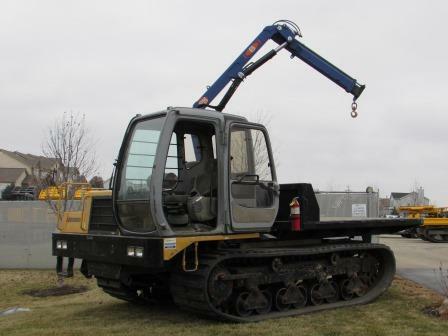 Rig Source is proud to offer our first Komatsu CD60 rotating crawler carrier unit for sale or rent. The Komatsu CD60 puts another spin on tracked carriers that provides users a greater degree of maneuverability. 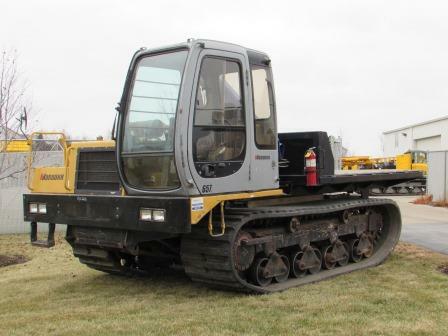 If you’ve enjoyed the benefits of a rubber tracked crawler carrier in the past get ready to be amazed by what additional features this unit offers. While working within space constrictions, it is not easy to find the exact equipment you need to get the job done and also protect your surroundings. Typically, something has got to give, but when you partner with Rig Source. We have found that while many of our customers benefit from use of standard crawler carrier units, there is still a large number of markets that need a little extra something, like rotation! This is why Rig Source decided to offer you the option to buy or rent a Komatsu CD60 rotating crawler carrier. The Komatsu CD60 features a 360 degree rotating cab and bed which will allow you to enter and exit tight spaces on the jobsite without having to actually turn the entire unit and risk digging the rubber tracks into the unstable ground. Along with this, the Komatsu CD60 rotating crawler carrier requires less space for operations since it has the ability to spin and doesn’t need to turn. Both prove to be added bonuses for companies that need a little more than just low ground pressure on their jobsites. If you’ve got work to do and are confined to small spaces to do it, try out our latest equipment addition, the Komatsu CD60 rotating crawler carrier. Rig Source is certainly excited to be featuring yet another new model of equipment to our customer base. 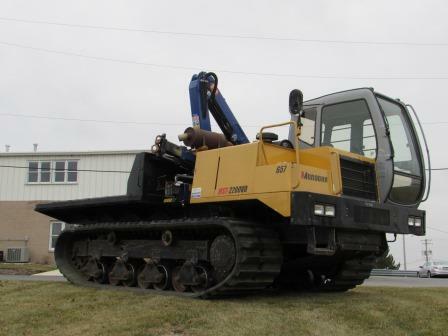 It is our goal to keep up with the changing and growing needs of our customers, and as of right now, we believe the Komatsu CD60 rotating crawler carrier is the spin you need. 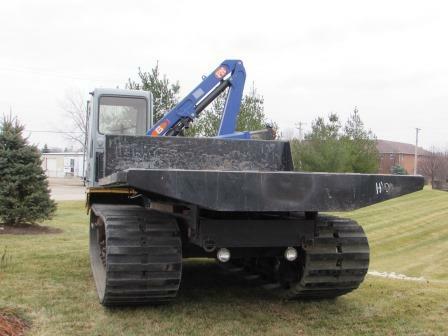 For additional information on the Komatsu CD60 rotating crawler carrier available for sale or rent, give us a call at 630.365.1649. A member of our team would be happy to discuss the benefits and details on this unit with you.